My wife Jill and I do a lot of cooking and entertaining in our home. My older son Ryan already loves to cook as well, and my younger son Dawson is on his way too! At home in our kitchen! 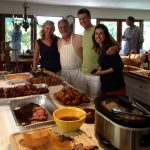 My cooking influences are my Mom, my Arkansas roots, my friend and fellow smoker/bbq-er Chris and other amazing cooks in our neighborhood in Malibu, and my California living for the last 36 years. 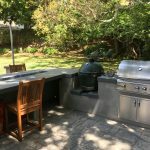 I have an awesome open kitchen inside the house, and as of May, 2017, a beautiful outdoor kitchen, with a built in Blaze 40″ BBQ, XL Big Green Egg in the backyard. I’m ready for anything!, a sink, seating for 10 around a built in firepit, a slide out trash can, drawers for utensils, and lots of storage. It’s a game changer! Jill and I love preparing dinner for two, three, four, eight, or one hundred. Our house is rather small, but it’s very open, with a large back yard. 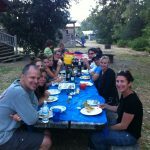 We can eat indoors or outdoors – more outdoors since we have a fireplace built right into our outdoor kitchen. Though when it gets a little cold in Malibu – like under 68 degrees – Jill is a little reticent to get out there and brave the elements. 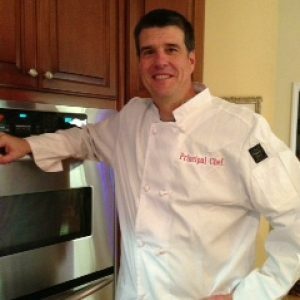 The principalchef.com website serves as my cookbook for my favorite recipes, and it’s my way to share recipes with friends and family. Oh, the name “principalchef” comes from the fact that I was a public school principal for 13 years and I do love to cook. “Superintendentchef” just doesn’t have the same ring. My day job (and often my night job) is as a public school district Superintendent. With my job, I am out of the house for evening responsibilities at least two times a week (sometimes five! ), so when I get the chance to cook on the weekend or occasionally during the week, I feel very fortunate and I make the most of it. 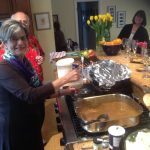 I hope this website helps you to love cooking and serving others as much as I do. Jill and I, with our friends Chris and Jacqui, at Meatfest 2014! I love this logo – the state of Arkansas on a Malibu Lifeguard Stand! Another Great Dinner at El Capitan! 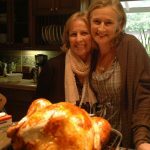 Jill and her mom Susan on Thanksgiving!